Just try to make enough of my sweet and spicy chicken fingers! They’ll disappear as fast as you make them. They’re oven-baked with a crispy brown sugar crust and moist, spicy chicken inside. And I use whole wheat breadcrumbs for some added fiber. I like my fingers plain but you can serve them with your favorite dipping sauce. What a great healthy snack for this long weekend. OMG! Is it Labor Day already? I need more summer! By the way, skinless chicken breast is a healthy, lean protein but it is also a fat-burning food loaded with minerals including selenium for a strong immune system and phosphorus for teeth and bones. 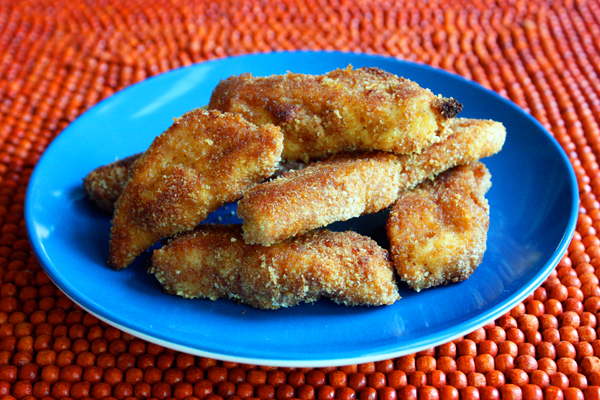 So it doesn’t have to be a long weekend to make healthy chicken fingers. 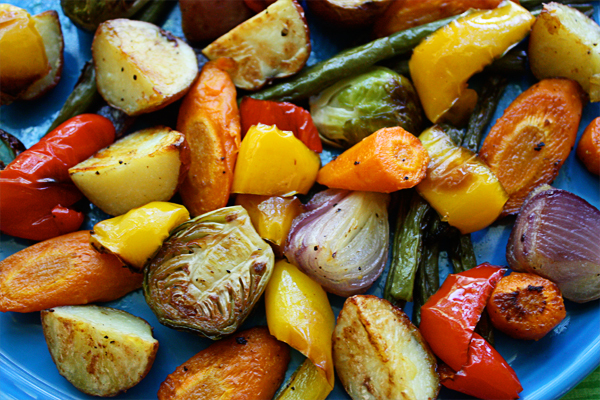 They also make a kid-friendly dinner served with a vegetable. Here are some ideas to serve with my sweet & spicy chicken fingers: Cole slaw and potato salad; Mac & cheese; green salad and baked beans; roasted vegetables; Mashed potatoes and green beans; or my recipe for Roasted Brussels sprouts & potatoes. Yes, there is a better way to make popcorn. It’s fast. It’s cheap. It’s easy. And it’s as healthy as you can make it. Forget the packaged microwave stuff with unhealthy fats and additives, and forget the stove-top way – it’s too much work. All you need is a paper lunch bag and a stapler. Yes, you CAN put staples in the microwave – watch my video. It takes all of three minutes to make popcorn this way and you can do it with no fat at all or you can add a little oil into the bag before popping. 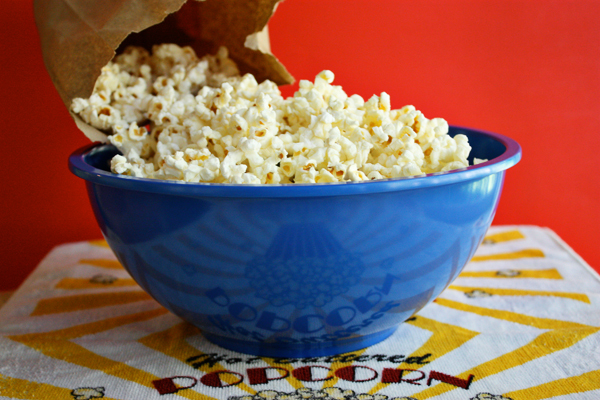 Popcorn is a healthy snack that provides fiber, some protein, and I just learned that the hulls have antioxidants so as long as you don’t load it with butter, you can enjoy a big bowl of popcorn guilt-free. Make sure to use plain popping corn with nothing added. This is the only way I make popcorn these days. In the 60’s – Shaking the pot on the stove. In the 70’s – Jiffy Pop that came in a foil pan that ballooned up when you popped it. In the 80’s – Air popper. In the 90’s – Whirley Pop, the big silver pot with the crank handle. In the 2000’s – An electric appliance that didn’t work so I returned it. To keep crisp cookies crisp all you need is a stapler, a coffee filter, some baking soda, and an air-tight container. I can explain. 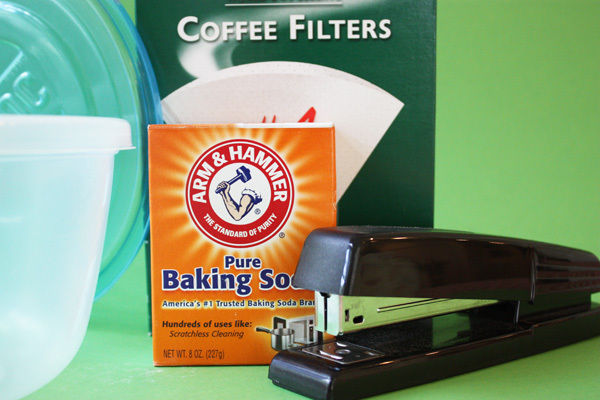 The baking soda absorbs moisture and the coffee filter is made of a porous material full of tiny holes that lets the air circulate easily and allows the baking soda to absorb any moisture. 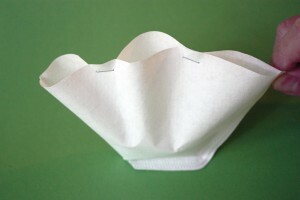 Put about 1/3 cup of fresh baking soda into a coffee filter and staple it closed with two staples, allowing the open edge to get as much air as possible. Stapling the baking soda inside the filter keeps it from spilling onto the cookies. A couple of staples is all you need. Also, make sure the freshly baked cookies are completely cooled before storing. Cool cookies completely before storing. Do not store soft cookies together with crispy cookies. Glass containers are good for storing crispy cookies. Do not store in plastic bags but use a covered container. 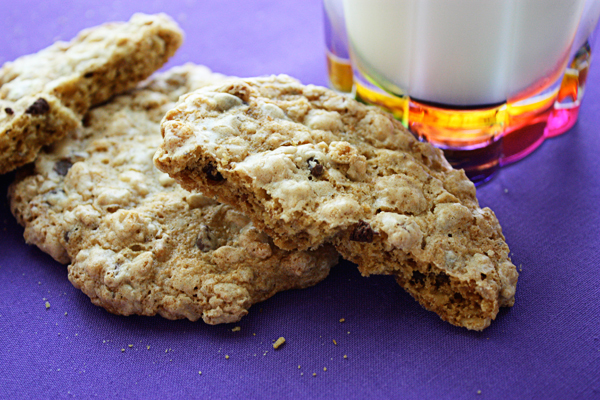 Refrigerating cookies will help keep them crisp. If you freeze cookies they will be crispy if you eat them frozen. Cookies that have softened will be never become crispy when stored no matter what tricks you use. Cookies can be re-crisped in a 300 degree F oven for 5-10 minutes. Baking without butter is a priority around here because I am not living without cookies. When I’m not having my lemon brownies, doughnuts, marble loaf, or apple bars (all made without butter) there is always a cookie on my dessert plate. I haven’t had a store-bought cookie in decades. Why would I when healthy cookies are so easy to make. We eat a few and I freeze a few, so there are always a variety of cookies in the freezer. To see how to keep cookies crisp click here. 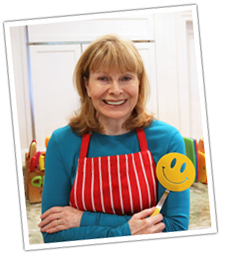 By popular demand, here is a new video showing how I make my easy potato pancakes. Using a food processor makes this healthy recipe incredibly easy to do but you can also shred the potatoes the old-fashioned way using a box grater. Even then it’s still an easy recipe. After years of ordering potato pancakes in restaurants to have them bring me a greasy, practically deep-fried mass of mush, I decided I had to learn to make my own. And it was a labor of love because I love my potatoes! 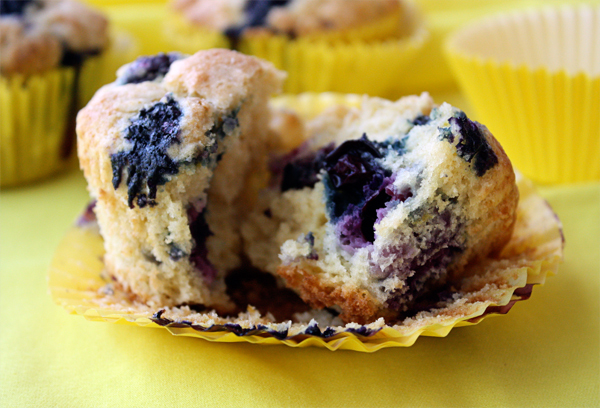 Note to self: “Pick up two lemons at the grocery today… and some buttermilk… and oh yes: blueberries!” That combination will make the most delicious lemon blueberry muffins you’ve ever had. I’m a big fan of muffins because they’re quick and easy to make and you also have a portable snack. I takes just 30 minutes to make these healthy muffins made with lots of fresh lemon peel and that well known brain food… blueberries. Blueberries are one of the top antioxidant-rich super foods so I put lots of them in this easy muffin recipe. Then I boosted the health benefits even more by using whole wheat flour and heart-healthy olive oil. Yes! I do lots of baking now with extra light olive oil but you can also use canola or another oil of your choice. There’s no butter in this healthy recipe since I’m always working on baking without butter. Now that berries are in season (and you don’t need a loan to buy them!) is the best time to try these easy and healthy muffins. Have them as part of a healthy breakfast or a mid-day snack with a cup of green tea. They are really, really good! Click here for the recipe.